BEACH PARK, Ill. (WLS) -- Delon Carter, 25, faces multiple weapons charges after Lake County police allegedly found a stolen weapon in his possession at the scene of a reported crash in north suburban Beach Park. Officers responded to a call of a vehicle in a ditch near Cambridge Boulevard and Queensbury Lane around 11 p.m. Saturday. Two people were seen in the area. Police saw Carter walking near the back end of the vehicle. They later saw what appeared to be a gun lying in the snow near where Carter was standing. The object was a slide for a Glock .45. Officers found the rest of the handgun at the scene. Further investigation showed the weapon was stolen from Kenosha, Wis.
Carter, of the 36000-block of Traer Terrance in unincorporated Gurnee, was charged with unlawful use of a weapon by a felon, aggravated unlawful use of a weapon, possession of a stolen firearm, possession of cannabis and bringing contraband into a penal institution. The other person at the scene was not charged. 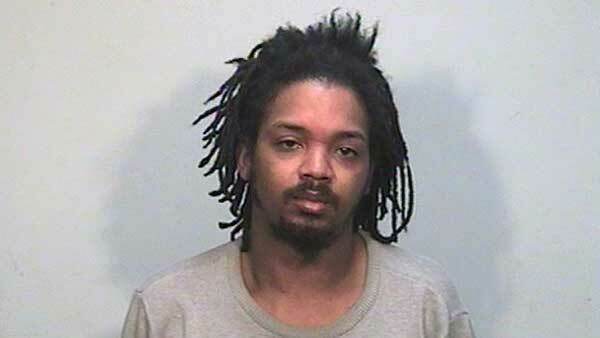 Carter is being held in Lake County Jail on $100,000 bond. He is due in court on Wednesday.